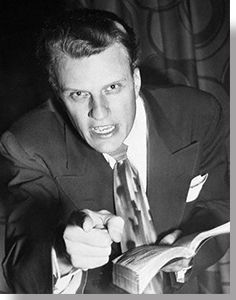 With the arrival of the hit musical Hamilton in Denver as Billy Graham's body lies in state in the Capitol rotunda, the structural resemblance to propaganda in the Elizabethan Age, via the stage and pulpit, is too obvious to ignore. "Mr. Miranda’s depiction of Hamilton as resourceful immigrant and talented self-made man captures an important aspect of his character. But the musical avoids an equally pronounced feature of Hamilton’s beliefs: his deeply ingrained elitism, his disdain for the lower classes and his fear of democratic politics. 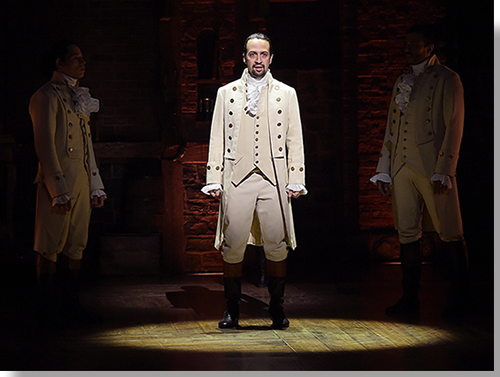 The musical’s misleading portrayal of Hamilton as a “scrappy and hungry” man of the people obscures his loathing of the egalitarian tendencies of the revolutionary era in which he lived. 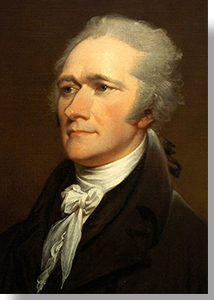 "Hamilton mistrusted the political capacities of the common people and insisted on deference to elites. In a speech delivered at the Constitutional Convention, Hamilton praised the hierarchical principles of the British political system. He argued, for example, that the new American president and senators should serve for life. 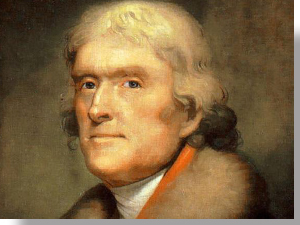 "He wanted to bring an elective monarchy and restore non-titled aristocracy to America. “The people are turbulent and changing,” he declared. “They seldom judge or determine right.” They must be ruled by “landholders, merchants and men of the learned professions,” whose experience and wisdom “travel beyond the circle” of their neighbors. For America to become an enduring republic, Hamilton argued, it had to insulate rulers and the economy as much as possible from the jealous multitude." "One of the musical’s most memorable scenes portrays Hamilton’s debate with Thomas Jefferson over the establishment of a national bank. What it doesn’t convey is Jefferson’s populist resistance to an economic plan that, in his view, supported the rule of commercial oligarchs who manipulated credit and currency at the expense of debtors and yeoman farmers. Instead, Mr. Miranda stages a confrontation between a hypocritical republican slave owner and an abolitionist visionary ("A civics lesson from a slaver," a scoffing Hamilton says in response to Jefferson. "Hey, neighbor, your debts are paid 'cause you don’t pay for labor") that conceals as much as it reveals." What the authors hint at, but could not detail in the pages of the financiers' pseudo-liberal populist rag, is that Hamilton sold the fledging nation back to the same British bankers whose mercenaries the colonists had just defeated on the battlefield, via his First Bank of the United States; in other words, he was a traitor. Jefferson opposed this treasonous plan. So, what is the larger strategy of the powers-that-be, who have turned New York City's Broadway and off-Broadway theatre scene into a parochial marketplace that limits the political and economic discourses of plays to a box in which dialogue never ventures beyond the red party/blue party marketing brands—a logical fallacy known as "black and white"—that is revealed in their investment in this entertaining piece of propaganda? Yes, profit of course. And they have done very well in that department. As we discuss elsewhere, the key objectives of the Anglo-Euro-American banking cartel and its corporations, which control the key corporations and governments on the planet, are: power, profit, propaganda, and population reduction. As should be obvious to any observer of mass and social media, as well as of the "educational" system in the U.S., there is a concerted effort to dumb-down the populace through PSYOPS, agit-prop, limited hangout, misdirection, and outright lies, which goes hand-in-hand with the destruction of the key symbolic forms that human beings use for communication; namely, language, music, and mathematics. "Lin-Manuel Miranda, the creator and star of the hit Broadway musical Hamilton, said on Wednesday that he had received assurances from Jacob J. Lew, secretary of the Treasury, that admirers of Alexander Hamilton would not be disappointed by a forthcoming redesign of the $10 bill. Mr. Lew has said that he wanted to add a woman’s image to that bill, which now features Hamilton’s portrait. That plan has won support from many, but there have also been complaints from those who don’t want to see Hamilton, the country’s first Treasury secretary, replaced." "Treasury Secretary Jack Lew will announce this week that Alexander Hamilton will remain on the $10 bill and Andrew Jackson will be pushed off the $20 note in favor of a woman from American history, CNN said Saturday. "... support for the Founding Father to stay picked up steam thanks to the hit Broadway musical 'Hamilton', and now a government source tells CNN that Jackson will get the push instead. "Jackson was ... selected for replacement by the petition because of his Indian Removal Act, which forced Native Americans out of their territories, and led to the Trail of Tears." 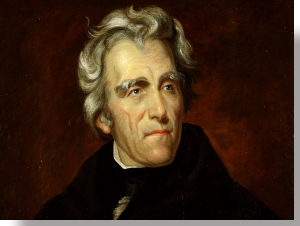 —James Wilkinson, DailyMail.com, April 17, 2016, "Notorious slaver Andrew Jackson to be removed from the $20 bill ..."
Another reason given in the article for Jackson's removal is that he was "notorious slaver." All of this (slaveholder and advocate of Native American genocide) puts him in the same category as Washington and Jefferson, who will remain on our currency. So, why is Jackson being singled out? This strategy, of using the public stage as a platform for changing the history of the U.S. monetary system, began in earnest in 2009, with the Broadway production of "Bloody, Bloody Andrew Jackson, which focuses, in part, on the Indian Removal Act of 1830. But just as Hamilton ignores the first Treasury Secretary's role in selling out the United States of America to European bankers, so, too, does Bloody, Bloody Andrew Jackson ignore the seventh President's principal role in ending the charter of the Second Bank of the United States, and calling the banking cartel "vipers." Seven separate assassination attempts on Jackson's life followed. He was the last President to eliminate the national debt (which, today, is owed to those who control the Federal Reserve System. Our national debt is the principal and interest we pay for the "privilege" of using the cartel's green pieces of paper [private banks notes; i.e., "Federal" Reserve Notes] as our "medium of exchange" [Jefferson's term]; in other words, if the United States were a sovereign nation, and issued its own currency, there would be no national debt.). Appartently not content with inverting the history of the U.S., the producers and backers of Hamilton have created an "educational program" to indoctrinate high school students that are invited to see the show. Among those backing this aggressive propaganda campaign are the Rockefeller Foundation (which runs on the fumes of partial ownership of the Federal Reserve, the Rockefeller oil trusts, the AMA, Big Pharma, and the insurance industry) and Google (originally a CIA project). 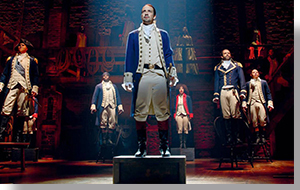 As the #fakehistory of Hamilton is being trotted out around the country, the synchronicity of the tour's opening in Denver with the implementation of city-imposed enhanced security—including metal detectors, at the Denver Performing Arts Complex's key Broadway-friendly venue, the 2843-seat Temple Hoyne Buell Theatre—should not be lost. Of course, similar stringent measures are also employed at the nation's capitol, where the body of Billy Graham lies in state. We're sure that Graham, whose xenophobic, racist, sexist, warmongering, and Bible-thumping positions have been used to justify the genocide and war profiteering of many Presidential puppets, would feel right at home at the confluence of corporate religion and corporate control over the state. 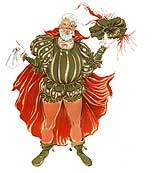 There are those who may see our depiction of theatrical and religious propaganda as a stretch, so we must point out that such a strategy by the powers-that-be is a long-standing historical tradition, a prime example being the Elizabethan Age. 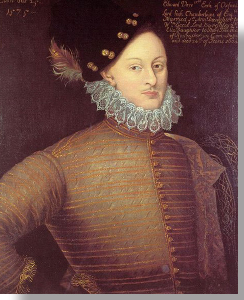 "On June 26, 1586, when England was two years into the official war with Spain and bracing for King Philip’s invasion, the queen signed a warrant granting Oxford (Edward de Vere) an extraordinary allowance of 1,000 pounds per year ... The grant was to be paid to him by the Exchequer, by the same formula for payments to Francis Walsingham and his wartime secret service: in quarterly installments with no accounting required." —Hank Whittemore, "Oxford’s Thousand-Pound Grant," 2018. One might wonder why a poet and dramatist who employed a variety of pen names and allonyms, including William Shake-speare, to hide his nobility (a code to which most of his class adhered), would receive a grant, exceeded only by the chief spymaster and King James VI of Scotland (who would succeed Elizabeth on the English throne), by a Queen in desperate need of cash to fight Spain. The answer is quite simple: Elizabeth employed the 17th Earl of Oxford to write a series of history plays that justified Tudor sovereignty and rallied patriotic citizens to Britain's cause, as well as to write anonymous homilies for the pulpit, which served the same purpose. One of the prime theatrical examples of the staying power of de Vere's art and propaganda is Henry V, which was later used (Olivier's version) to rally the British masses during WWII. 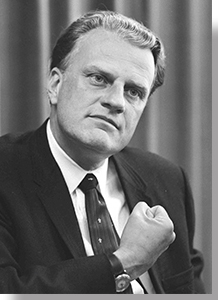 Today, we see the same strategy on the part of the powers-that-be, with the body of an evangelist lying in state at the Capitol of a nation whose principles include the separation of church and state. What exactly is causing this desperation? "YouTube this week cracked down on the videos of some prominent far-right actors and conspiracy theorists, continuing an effort that has become more visible since the school shooting in Parkland, Fla., last month ..." —Jonah Engel Bromwich, "YouTube Cracks Down on Far-Right Videos as Conspiracy Theories Spread," New York Times, March 3, 2018. As has been the case for many years now, articles appearing in the Times that are framed as news items have taken on the tone of editorials that employ ad hominem, appeals-to-emotion, and guilt-by-association, among other logical fallacies. Setting such a tone in the headline tells us all we need to know about the spin given to the content. The insecurity of those responsible for conjuring such #fakenews is transparent. They understand implicitly that debating the facts would put them out of business. The underlying approach of the article is the black and white logical fallacy of falsely dividing the antagonists and protagonists in the article to the "far right" and the "left." By "left," the Times means itself, which, of course, is laughable, given the nefarious purposes for which the Times is employed by the CIA and its puppet masters. By "far-right," the Times means the click-bait sites created by U.S. intelligence with manufactured Russian URLs, or actual Russian click bait scammers, who use any trending issues to get their hits, and who had zero effect on an election that was hacked from the inside. Orwell's "fiction" was as true when he wrote it as it is now. It has been well-demonstrated that the real target of censorship is the actual progressive left and their websites, whose traffic has been decimated by the algorithms employed by the corporate-controlled intelligence agencies and their social media and retail platforms: Google, Facebook, and Amazon. It could not be clearer: With corporate control over church and state, history is nothing more than a public relations strategy, education is nothing more than propaganda, and traitors who work for the Anglo-Euro-American banking cartel and its corporations are painted as heroes. It matters not which political party brand—blue or red—they represent; the same folks pull the puppet strings. If you choose to pay hundreds of dollars to go see Hamilton and soak in the best spectacle that money can buy, remember: the history being presented comes with a very specific and insidious agenda, much like Hamilton, the man.